Looks like a lone follower of the executed Aum Shinrikyo guru Shoko Asahara who bears a grudge that his boss was executed. Nine people were hurt, one seriously, when a man deliberately ploughed his van into crowds celebrating New Year’s Eve along a famous Tokyo street, police say. “It is a shock. Really scary, isn’t it?” one bystander told NHK. Police immediately cordoned off the street, which was packed with people celebrating the New Year. Kusakabe was arrested on suspicion of attempted murder, police said. According to local media, Kusakabe hit a total of eight people and assaulted another on the street, which was closed to car traffic at the time as revellers packed the area to celebrate New Year. Unlike in other major cities, New Year in Tokyo is a relatively muted affair. There is no major fireworks display and no central point where drunken revellers gather to see in the New Year. Kusakabe was arrested on suspicion of attempted murder, police said. According to local media, Kusakabe hit a total of nine people on the street, which was closed to car traffic at the time as revellers packed the area to celebrate New Year. 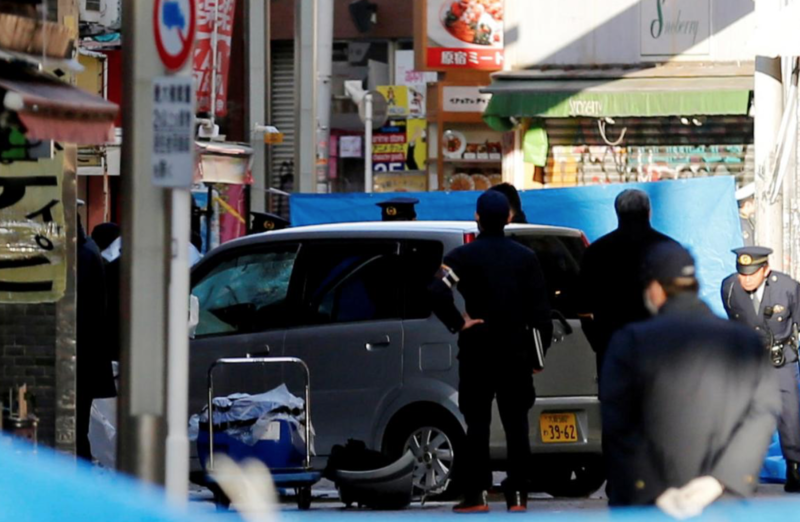 TOKYO (Reuters) – A car plowed into crowds celebrating New Year’s Day early on Tuesday in a suspected terror attack, leaving eight people injured, including one who was unconscious.